HAMS stands for High-Amylose Maize Starch. This is a special type of corn, naturally bred to be high in amylose starch. All corn contains two types of starch: amylose and amylopectin. Unfortunately, most corn does not contain much amylose, but rather the easily digested amylopectin. Most corn, from sweet corn to field corn, contains 25% amylose at most. HAMS contains 75-80%. This distinction is important because the amylose in corn is an exceptionally digestion-resistant starch, a prebiotic fiber. RS. RS2, specifically. Unfortunately, when eaten in snack foods and deep-fried junk, the RS and fiber are minimal, a gram or two per serving…also high in sugar, oil, and wheat…a rose among thorns. HAMS has been used in research for over 20 years as a resistant starch and prebiotic fiber. There have been hundreds/thousands of research studies conducted in which HAMS was used, and still, it seems to be the number one choice of resistant starch in research labs around the world. Researchers love the stuff because a) they get it for free, and b) it has well-known RS properties. I could (literally) write a book about HAMS. This stuff has been studied to death. Googling around, you’ll find 200 page theses written about HAMS, dozens of research papers, even books about HAMS. Ingredion Incorporated., formerly known as National Starch, inc., and Corn Products, inc., are the manufacturers of such lovely products as high-fructose corn syrup and sugar alcohols. Ingredion is “Big Food” at its finest, raking in billions in profits with a worldwide workforce on 10’s of 1000’s. They have an impressive lineup of ingredients that they supply to food manufacturers. Ingredion has cornered the world market in HAMS. They hold a patent for “Low Amylopectin Starch Production.” If you are anywhere in the world, and want HAMS, you’ll have to find an Ingredion distributor. It’s really no problem, they’re everywhere. When I first learned about HAMS 5 or 6 years ago, I was quite unimpressed. Mainly because most of the RS research was funded by National Starch or Ingredion. But, as more data emerged independently of industry-funded studies, I started taking notice, as did the FDA when they approved some limited health claims for products containing HAMS in Dec 2016. The qualified claim is a third-tier claim from the FDA, which means there is not overwhelming scientific evidence of the claim. But Keenan said it is a good start to get the food industry and consumers interested in resistant starch and its health benefits. The claim will likely lead to more investment in research on resistant starch, he said. HYLON – When Ingredion extracts the HAMS from corn supplied by its growers, it’s sorted into grades of raw starches called HYLON. HYLON V contains 50% amylose, and HYLON VII contains 70% amylose. This is RS2 at it’s finest. I wish HYLON VII were available in a jar, it would be my go-to RS source. Unfortunately, this type of RS is only sold to the food industry. Judging from the Ingredion website, it looks as if HYLON V is no longer in production, only HYLON VII. You can cook with it! Hi-Maize is a great source of RS and a pretty amazing invention. We all know (or should), RS2 cannot be heated lest it lose all it’s “resistance.” Potato starch turns to gooey gel at 150 degrees F (65 degC). Great for gravy, but bad for guts. HYLON VII gels at a much higher temperature, 230-300 degrees F (110-150 deg C). And Hi-Maize even higher. This means that you can cook with Hylon and Hi-Maize! A-Maize-ing. I’ve begun purchasing samples of Hi-Maize to test along with the other starches for my Indiegogo project. All of the published literature shows Hi-Maize to be in the 40-60% range. Ingredion’s official claim is 56%. Ingredion says that the RS in Hi-Maize should be measured with a “modified Englyst” assay. The first step in this test is to heat the starch to boiling. See the problem? 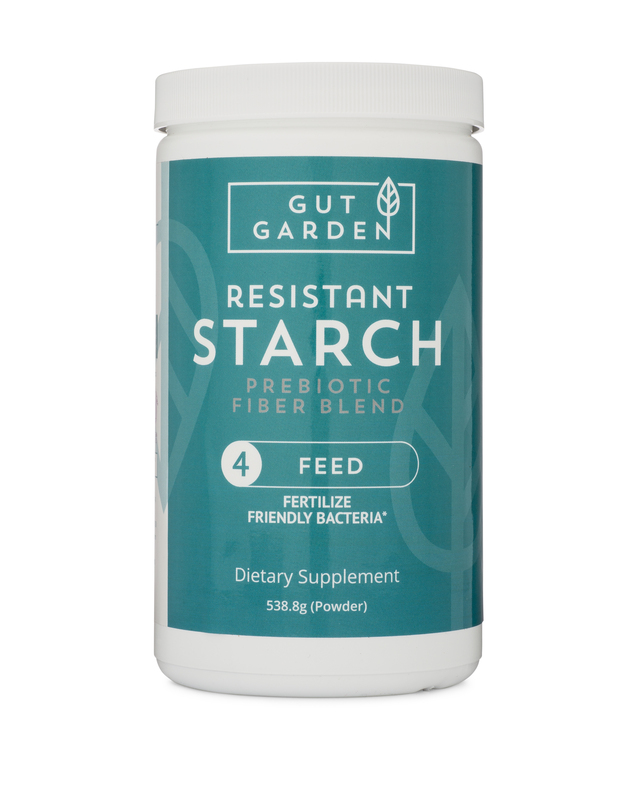 There’s no way to test any other starch with this same method. The official measurement for RS2 in isolated starches is AOAC 2002.02, a method that uses low heat so that starches are not converted to gels. My tests will all be done using the AOAC 2002.02 methods. I have no doubt we will find Hi-Maize to be a good source of RS. I’m curious to see how standard the RS content is across several different batches, and between Hylon VII and Hi-Maize 260. Hi-Maize is a great source of resistant starch. It’s cheap and easy to find. Put a couple spoonfuls into anything you eat or drink…hot or cold. If you enjoy cooking/baking, you can even use Hi-Maize in place of other flours. However, if you start to see Hi-Maize added to junk food, don’t let them fool you into thinking it’s healthy…got it? I got a free 1-pound sample through Essex Grain for testing, I did not ask what the minimum order is, maybe they would sell in small enough packages, but my guess is 50 pounds. I’m traveling now, but will check when I get home. 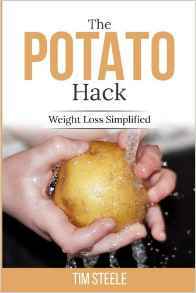 I’ve been consuming 2 heaping teaspoons of Honeyville mixed with potatoes and squash, along with Gut Garden and Inulin. I mash it all up like a gluey porridge. Dinner! Can’t argue with that concoction, lol. Really nice post. Thanks for doing all the great research about hi maize. I’ve been using an order from the Honeyville people for months. A tablespoon in my morning smoothie. My deal is I simply don’t want to depend on one company or one source for RS. I’m working hard to only consume whole foods from real farms and real sources. Every time someone says to have a supplement, I do a lot of due diligence before I use it or promote it to my friends. Why not eat the food? But if hi maize works for gut health, that’s great. but if only one company is providing it that is not ideal. I’ll keep following your info and thanks. Dan – the proprietary nature of Hi-Maize is what turned me off of it for so long as well. I’m really surprised there are not more producers. When I was looking into it, I found several universities with breeding programs to produce different varieties of high amylose corn, but no other growers or suppliers outside Ingredion. Perhaps one day other farmers will grow different breeds and we’ll have more options. Hopefully my RS Analysis project will show some other sources of RS and give us confidence when buying different starches. Hi Tim – Do you recommend finding high amylose corn and using it as a food source ? Is it available ? Any sources you know ? There are several links in the article, it’s easy to find in the US. I doubt anyone “needs” HAMS if they have a good fiber intake, it’s just an option. I plan on keeping a supply on hand to use when I do any flour-added cooking, ie. tortillas, fried fish, bread-making. I add it to smoothies, etc. Interesting. How much do you put in breads and stuff? Do you plan to test cooked HAMS for RS content? I really don’t cook enough breads or breaded foods to say what works best. The Honeyville and Kind Arthur websites say that you can easily replace 25% of other flours with Hi-Maize and not tell the difference. I once made chicken livers dredged in a combo of Hi-Maize and teff flour and pan fried lightly in butter. Since I now have both Hi-Maize and Hylon, I want to do a side-by-side comparison of heating in water and compare them to potato starch. Is there any reason to prefer this or use it in place of BRM-PS? Or, let’s say you wanted to take more PS, is there any advantage of adding it to your current PS instead of just increasing you PS dose? I don’t think that there are any biological advantages to HAMS over RPS or green banana flour. It’s just another option. Some people seem to respond better to one that the other depending on their gut flora, so it is worth experimenting if you are not in love with your fiber source. An advantage exists with HAMS in that it can be heated and used in cooking and still retains RS, this is not the case with RPS or GBF. A couple of years ago while looking for plantain flour as an alternative to raw potato starch I came across Fufu flour. It is a combination of Cassave and plantain flours. I dropped it at the time, but recently came across it again. It is widely used in several African countries and as Africans seem to have very healthy guts, I am wondering whether I should give it a go. I’m curious to know what the RS content might be. Cassave seems to have a high fiber content. I’d guess the RS content in fufu flour is very low since it’s a cooked product, but as a nutritious starchy staple, it can’t be beat. Probably fufu’s greatest feature is that it is one of the main ingredients in the rural “peasant” diet in parts of Africa and the Caribbean. When eaten to the exclusion of processed Western diet foods, it would provide a steady supply of nutrition, fiber, and probably RS if it’s eaten cold the next day, like “stale maize porridge” in other parts of Africa. However, the link you provided to Amazon shows a product with added stabilizers, preservatives, and antioxidants…I’d look for a more wholesome brand or learn to make your own, it’s probably fun. Why do you say it’s just semantics? And with analysis, will we know the RS2 to RS3 ratio? I say it’s just semantics because it’s still all resistant starch. Ingredion calls Hi-Maize 260 “RS2” they do not even mention RS3 in their literature/spec sheets. If you look at the paper on heat-treatment of Hylon and Hi-Maize (https://potatohack.files.wordpress.com/2017/02/effects-of-preparation-temperature-on-gelation-properties-and-molecular-structure-of-high-amylose-maize-starch.pdf) They have a really good discussion of the temps involved and even microscope pics of the starch granules heated to different temps. basically, the starch granules remain intact up to about 150degC in HylonVII, above that they swell and burst, but with Hi-Maize 260, they remain intact up to 170degC. So, in the process to convert Hylon to Hi-Maize, they must use a temp just under the bursting point so that the starch granules remain intact, but partially swollen and containing retrograded starch within the starch granules. Pretty impressive, really. And hard to believe there is much difference and I wondered why the even bother with the conversion, but it all comes down to “processed foods” and the higher gelling temp of Hi-Maize 260 allows for crispier Pringles and breaded Buffalo Wings. The food industry has their act together, creating a product for every taste bud, but in this case, they accidentally developed a product we can borrow for gut health. In the case of Hylon or Hi-Maize, there really is nothing artificial about them, just cooked corn starch. Even corn itself, from its earliest usage as a human food, had to be modified to be eaten…nixtamalized, in this case. Pretty amazing that the Indians figured this all out way back when.